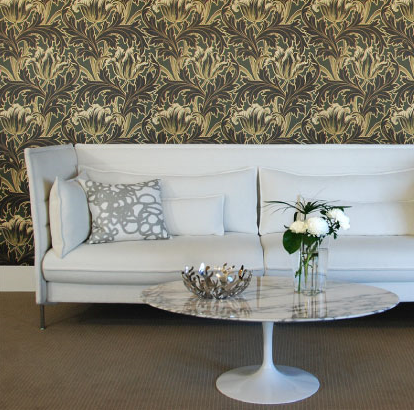 Charles Rupert Designs is the international source for traditional and contemporary wallpapers. They produce brilliant reproductions of classic designs by William Morris, in addition to their archival papers that have been tailored to blend perfectly into Arts and Crafts or Victorian style homes – the papers are also a stunning contrast when applied in a modern interior. Charles Rupert Designs not only recreates the original look and feel of the wallpaper but they also create some matching fabrics; both come in documentary colourings as well as fresh new colourways for modern interiors. Wallpapers are printed on vintage presses in England to enhance historical accuracy and texture. The company focuses on quality, refined aesthetics, eco-standards and great service. The Canadian company, which has grown to be represented in over thirty international showrooms, recently celebrated two milestones: their 20th year in business here in Victoria, BC, Canada, along with the announcement that they will be selling their product through the Vancouver Tritex Showroom – another achievement for this local company. Tritex is used by all designers and represented throughout the West Coast. 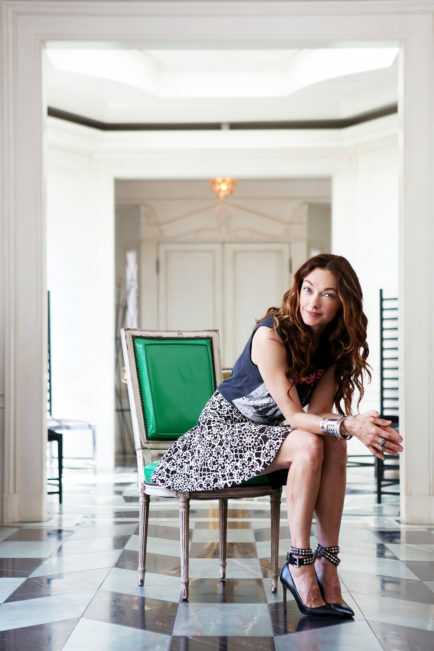 Charles Rupert Designs and their products have graced the pages of Elle, Domino, World of Interiors and Style at Home magazines among others, and they have also been featured on the popular blog Apartment Therapy and HGTV’s Pure Design. We wanted to sit down with Stuart Stark, Design Director and co-owner of Charles Rupert Designs, to discuss his company and products in more detail to share this great source with our readers. Please read on to learn more, and visit the website: www.charlesrupertdesigns.com to see their beautiful portfolio of wallpapers and fabrics. Iván Meade – What is your favourite design find? Stuart Stark – A pair of brocatelle silk curtains dating from the late 1870’s that I spotted hanging as window coverings in an antique shop. The owners kindly allowed me to borrow them to scan the design as they were not for sale. I translated the fabric design into a wallpaper design for our Historic Wallpapers Collection. 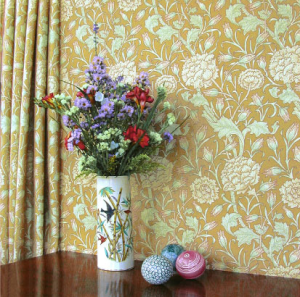 I later researched them, and discovered it was a design by Bruce Talbert, an English furniture, wallpaper and textile designer who was working at the same time as William Morris. 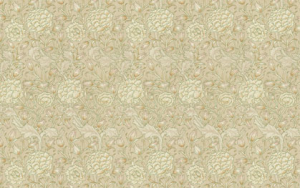 Talbert had also made the design as a wallpaper. Iván – Why is it important/inspirational to you? Stuart Stark – Good design is all around us, all you have to do is develop your ‘eye’ to recognize it. Iván – How does this item reflect upon your personal design philosophy? Stuart Stark – Good design never goes out of style. 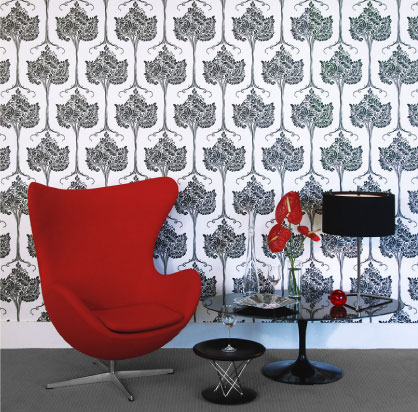 You can mix wallpaper from the 1890’s with mid-century furniture classics like Arne Jacobsen’s ‘egg’ chair from 1958 with stunning results if you choose your pieces carefully and with consideration for their contemporary look. We have used these pieces together in room set images for our ‘Garden Collection’ of wallpapers. 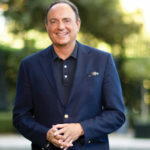 Iván Meade – Charles Rupert recently announced a partnership with Tritex fabrics. What does this exciting announcement mean for your company and its clients? 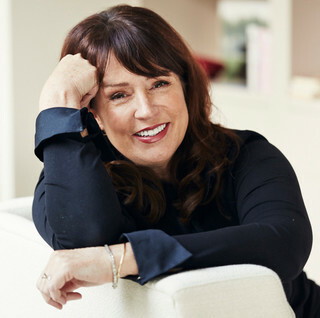 Stuart Stark – We are very pleased to be represented through the Tritex Fabrics Showroom in Vancouver, where designers from the lower mainland will be able to view and get samples of our wallpapers and fabrics. People like to see and feel the actual product, and they can do this at Tritex. 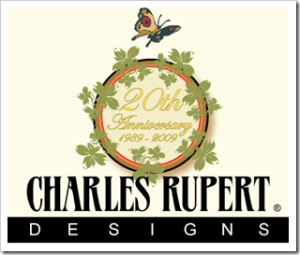 With Charles Rupert Designs being a Canadian company, the Vancouver market is important to us, and we are pleased to be in Vancouver now in addition to Toronto, where we have been successfully represented for a few years. Iván Meade – Could you please describe the process of creating a wallpaper from start to finish? I have always been curious about all of the steps involved from design to production. 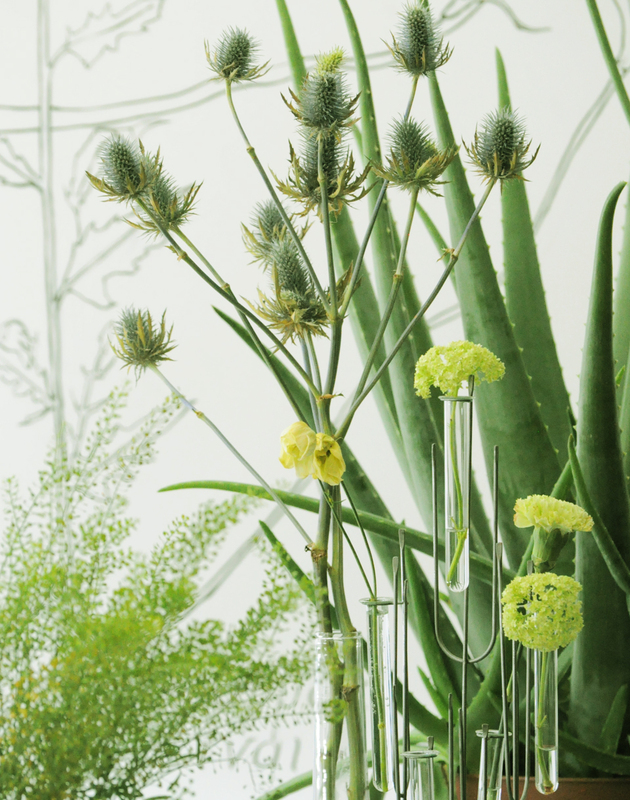 Stuart Stark – First, as Design Director for the company, I start with a general theme for a Collection – such as our ‘Garden Collection’ – and then I start assembling appropriate designs that fit the criteria. Many more designs are considered than will be able to be printed, and a balance of designs and patterns is finally chosen that makes a coherent ‘Collection’ and gives designers and homeowners a good choice of possibilities for their interiors. From there, artwork is created for each design from archival documents from our own archives. Minor adjustments may have to be made to recognize modern printing requirements, but great care is taken to reflect the original designs. Colouring comes next, and wherever possible, a document (original) colourway is included in the Collection, but new colourways that will be compatible with today’s interiors are included as well. After the artwork and colours are completed, printing rollers are commissioned from our artwork, and then I supervise the printing on vintage wallpaper machines. This requires working very closely with the printers to ensure that my vision for the design and colouring of a particular pattern is able to be printed. There are many variables that are possible during the printing process. As an example, you can dramatically change the look and feel of the design by the thickness or transparency of the inks that are specified . After the printing is done, there is the design and specification for the making of Showroom books, with attendant room set photographs to be staged and photographs taken. Finally the Collection heads out to the Showrooms, where I often visit and talk to designers about the Collection and how it can be used in their interior design projects. 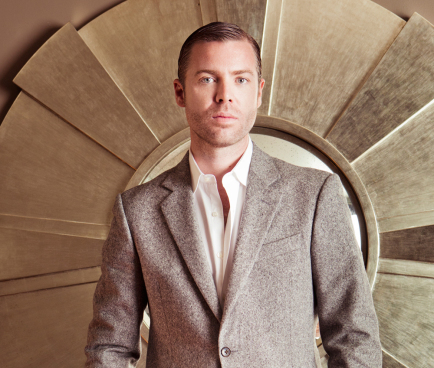 Iván Meade – Charles Rupert Designs also offers fabrics in the same patterns and colourways, how does the process of creating wallpaper differ from that of creating fabric? Stuart Stark – Printing or weaving fabric designs is an entirely different process than printing wallpaper. Printed fabrics often require changing the size or scale of the design to fit standard fabric printing requirements. 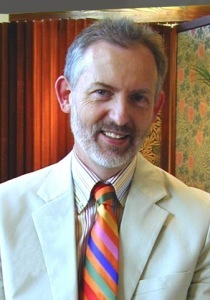 Iván Meade – The wallpapers and fabrics always match perfectly. Are there any situations where a pattern or colouring will not work for both applications? If so, how do you get around the issue? Stuart Stark – Not all wallpaper designs work well as designs for furnishing fabrics, so you have to choose your designs carefully. Colours take differently on fabric than on paper and have to be printed in reverse order on fabric (as opposed to printing on paper) in order to prevent shrinkage during the printing process and the resulting misalignment of colours. Additionally, the absorbent quality of a cotton fabric, for example, means that colours that look bright on paper for example can be duller on fabric, so that adjustments need to be made to the density of the fabric printing inks if you want them to match the colours on the wallpaper. Iván Meade – Your company has a great Eco-Standard, which is becoming more and more in demand. Could you please give us more information on what makes your fabrics and papers environmentally friendly? 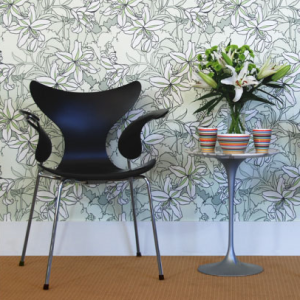 Stuart Stark – Twenty years ago, we decided that as a matter of course, we would not sell vinyl wall coverings, or synthetic fabrics. That goal has stood us in good stead over the years. 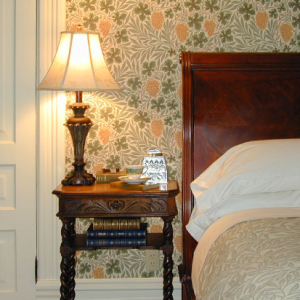 Our wallpapers are real paper, and use traditional wheat paste or cellulose paste to apply them to the wall. Both of these pastes have no VOC’s (compared to many standard adhesives used in the vinyl wall covering industry which do have VOC’s.) The paper is from managed European forests and produced by a mechanical wood pulp method – as compared to a chemical wood pulp method – which uses less water in the process. The printing inks are water based and do not contain heavy metals. 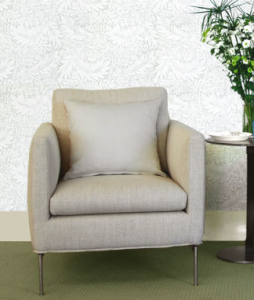 Our Eco-wallpapers are popular with people who have allergies, or people who want to know that they can recycle them when they may wish to redecorate many years from now. 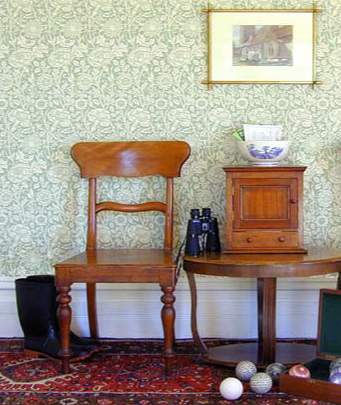 Paper – as opposed to vinyl – is also gently flexible when hanging on walls in older houses that may not be perfectly flat. When hanging paper, it can be smoothed over slight bulges on the wall with no difficulty. 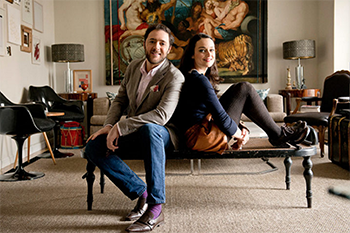 Iván Meade – What is your favourite design or collection? Stuart Stark – Since I chose all the designs, I like them all! 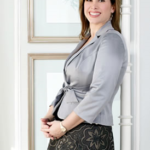 They all have different appeal for different design projects from historic to contemporary. 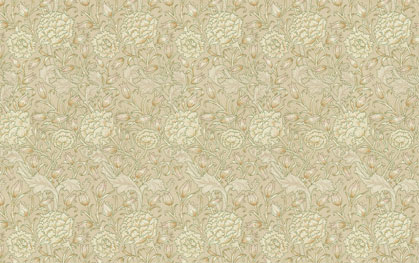 But one wallpaper – "Arboretum" in our ‘Garden Collection’ – has a special attraction for many people. It was designed in 1897 by Ingram Taylor, an English designer, who also designed stained glass and stencil decoration, as well as some interior features for the Titanic, but fortunately most of his designs had a longer life! Depending on which colourway is used, and in what room this design is used, it can look either very contemporary, or immensely historic. I like the adaptability and flexibility of this design, with its clean lines and bold patterning. Iván Meade – What do you think makes these designs so timeless? Stuart Stark – Good design never goes out of style. You have to sort through the considerable chaff of mediocre designs that are merely available and somewhat fashionable for a particular time period, and pick out the "high-style" kernels of designs that will stand the test of time. Whether designs come from the Georgian, Victorian, Art Nouveau, the Art Deco, or mid-century modern periods, each design movement contributes special designs – whether wallpaper, furniture or fashion – that are recognizable to that period and illuminate design history. Those are the timeless designs. 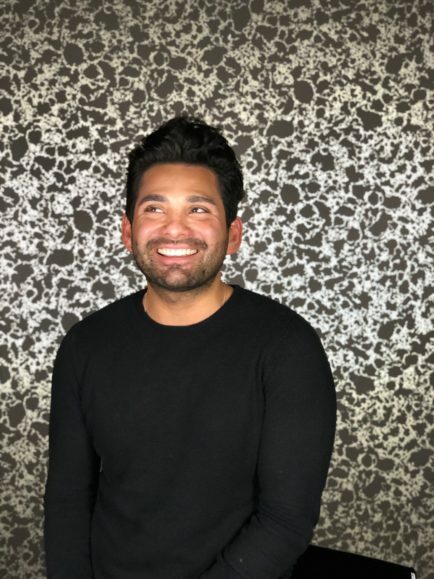 Iván – Can you tell me what your next design venture is? 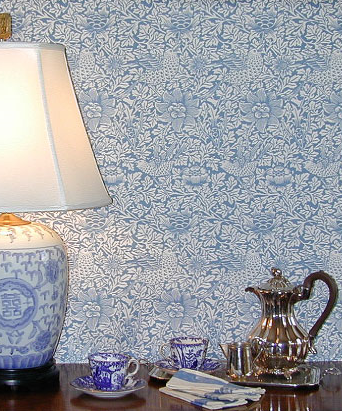 Stuart Stark – I am working on a third wallpaper collection for Charles Rupert Designs, hopefully for 2010. I have been gathering archival wallpaper samples as sources and inspiration and hope to start artwork for it in the fall. I am also working on the restoration of three heritage buildings in the Victoria area. important design elements. I agree that good design is timeless. Loved the fabric and wallpaper snaps also. Stuart’s historical knowledge and attention to detail in period design is unsurpassed in Victoria. Great interview Ivan! Love the colourways! I agree, attetion to detail and passion is evident in Stuart’s work. Great interview, as always Ivan! I appreciate the diversity of your guests. Good design never goes out of style! So true. I loved reading the details of creating wallpaper and/or fabric patterns. (on a personal note: the tea you gave us are absolutely addictive, I had some chilled). Wow 20 years, amazing! His papers are beautiful. I used to visit a screen shop in the bay area of California that reproduced William Morris papers. Did not compare to Stuarts. Stunning! really great interview! i love the details about making wallpaper. so inspiring, thank you! Love the way the classic floral print enhances the light and the tea cups in the last photo.